The mood of the moment dictates fantasy and heritage. As its name denotes, this sensational piece was inspired by the traditional craft of crochet, a process of creating fabric that consists of pulling loops of yarn through other loops. The method of crocheting was reinterpreted in this piece through the forging of 60kg of classic brass pulls by a local jeweller resulting in a mesh, which adorns the sinuous silhouette of the piece. 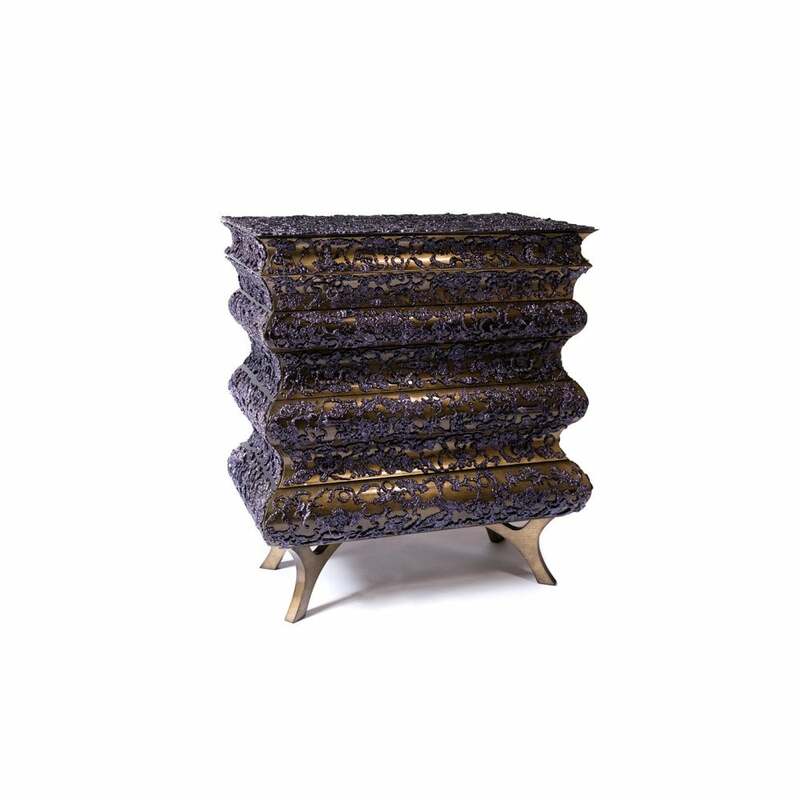 The solid wood frame consists of seven drawers finished with a darkened gold leaf that ensures a mystery and an elegance, which contrasts with the cover with 60 kg of vibrant jewel, toned purple of the brass handles.